I had a mixed reaction to this book. The writing was superb and the story itself was entertaining and riveting. I guess the problem I had was I wanted to know more. What had happened to Mr. Orwell in 1928 that had him down and out? It just starts off with him being hard up. I wanted to know how he got there. The book is jam packed with interesting characters and mad situations. The black humour is plentiful, the descriptions of hunger and idleness are exact. If anything there is too much of it. 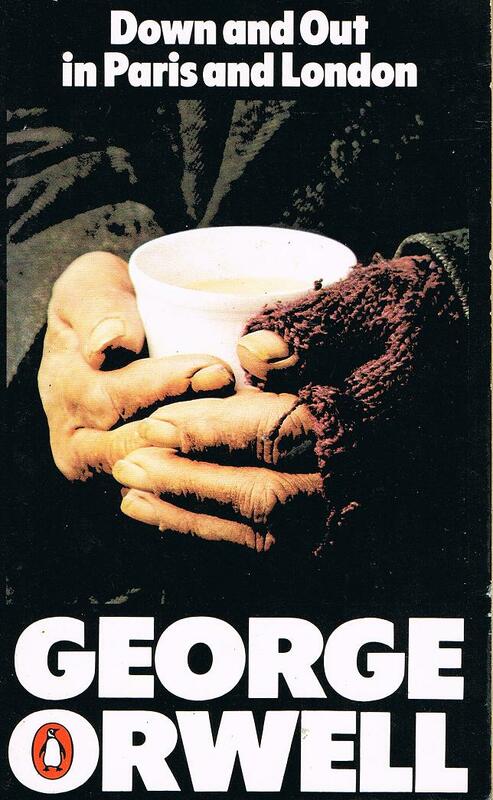 By the end of the book you are beat over the head with tales of hunger and the scams that people on the street pull to get a cup of tea and loaf of bread. You also get the feeling that the author is holidaying as a tramp. That he could get out when ever it suited him. The book was released in the early 1930's and the antisemitism is rife. Not so much from the author but from the people in the book. Most of the people he encounters in Paris are Russians who have fled from the revolution. That left me a little cold. The weird thing about reading down and out is that the last 30 or 40 pages were read during a 2 day power outage at my house. Brisbane Australia is currently undergoing its 2nd flood in 3 years and we have been without power. I thought that it was right and just that this was the book I was reading.....saying that I was reading the book on my Kindle and I also had a book light. So maybe not so primitive after all. I do wonder if I would have had a better reception to this book if I had just not read a grief observed and the power and glory. 2 very sad and depressing books. Maybe it wasn't time for me to start another book about being down and out. Lesson learned for the next time. Saying that the next book I am reading is - The Crusades through Arab Eyes – Amin Maalouf - I hear that's a laugh a minute.